LOOKING FOR A WATER SOFTENER BUT DON’T KNOW WHERE TO START? HomepageNews LOOKING FOR A WATER SOFTENER BUT DON’T KNOW WHERE TO START? Do you want to know more about the benefits of installing a water softener in your home, with so many to choose from it can seem like a daunting task. What size do I need, which make / model is the right softener for my home, will my water softener work efficiently as we have several bathrooms. Are there only two of us living within our home, is there a different size more suitable to us? Do I want a block salt water softener or granular salt. Can I save money with my new water softener? All these questions can be answered by us at Silkflow in High Wycombe. We are a family run business and have been operating since 1987 so have all the answers to all your questions in terms of your water treatment needs. We cover all areas of Buckinghamshire, Berkshire, Hertfordshire, Middlesex and Oxfordshire. 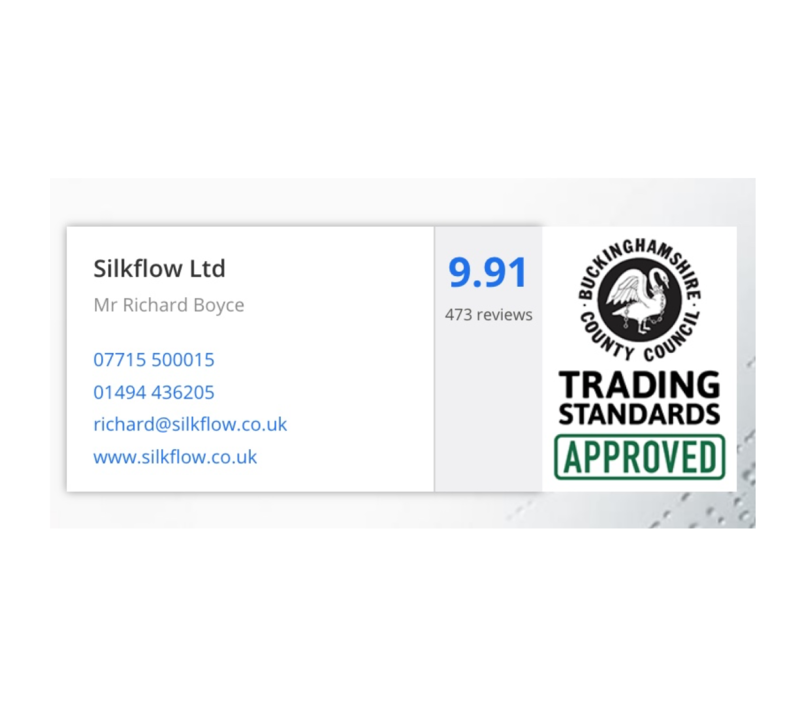 To find out more on the benefits of installing a water softener in your home or for your FREE no obligation quotation contact us at Silkflow in High Wycombe on 01494 436205.